We offer professional domestic cleaning services, carpet and upholstery cleaning. Ely Cleaning Services was established in 2009 as a small cleaning business offering cleaning services to both the private and business sectors. We have experienced a great demand for clea ning services in Ely and have managed to meet the needs of our rapidly growing customer base. Areas we cover: Ely, Soham, Newmarket, Stretham, Cambridge, Downham Market, Chatteris, Huntingdon. We use only the most modern equipment with the industry’s finest cleaning agents to achieve the best possible results for our clients. All work is performed at the customer’s premises. 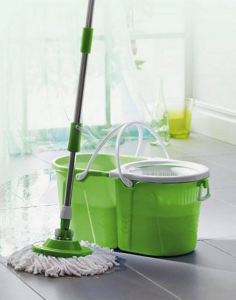 We have extensive experience in cleaning services. We enjoy high credibility among our customers because our priority is always their satisfaction. Each order is always treated individually. We analyze the elements of each job, (the type of material, the sizes, the degree of soiling etc) and customise our service to meet your requirements. Everything is done to the highest standards. We are very competitive, constantly seeking to use the newest equipment available, sending our staff on training courses and hence increasing the quality of our services. At the same time we monitor the current price of other companies, making our offer unique not only in terms of quality of service, but also in terms of pricing.